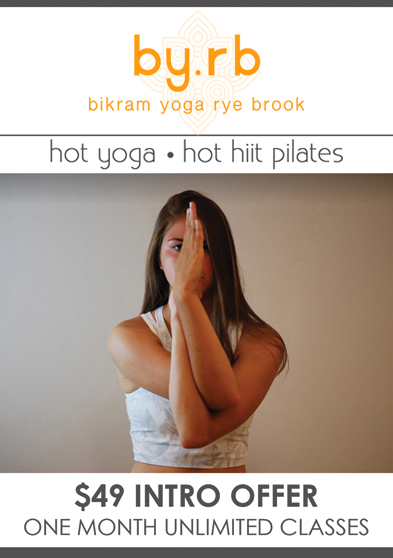 HOT YOGA & HOT HIIT PILATES Brand new, light-filled studio. Located in the Rye Ridge Shopping Center, behind the CVS. We love first timers, all levels welcome to all classes. 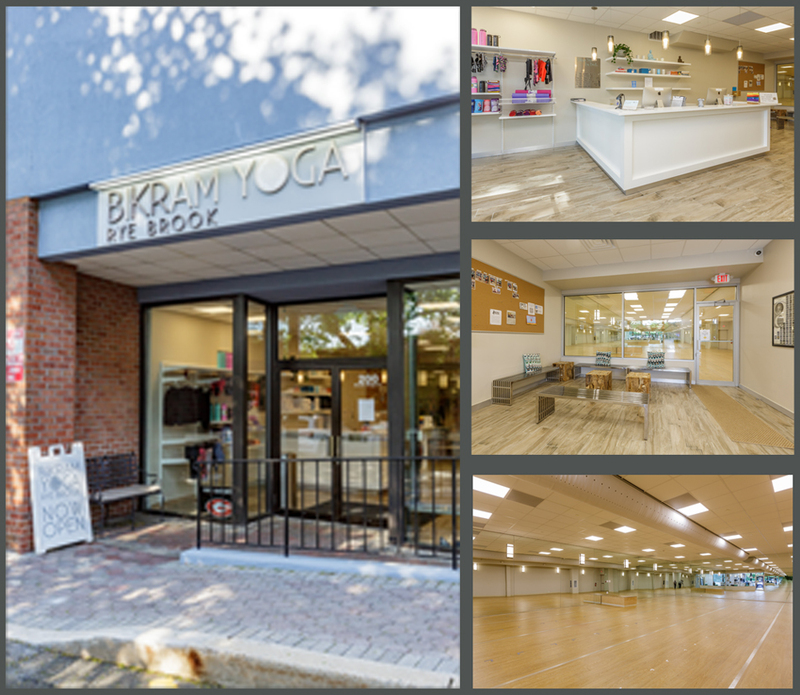 Rye Ridge Shopping Center, Plaza and South are excited to announce that Bikram Yoga Rye Brook has opened for business. They are located BEHIND CVS at Rye South. We encourage you to visit and experience firsthand their brand new, light filled, studio. This special and inviting space features a state of the art filtered heating and ventilation system, innovative wireless amplification, and squeaky clean flooring. Enjoy some deep breathing with an abundance of fresh oxygen and healthy heat allowing you to clear your mind and hone your body most effectively. Frannie Rochat has practiced yoga for nearly twenty years. In 1998, while working as a fixed income trader in London, a friend introduced her to the practice and she was immediately drawn to its physical and psychological health benefits. As Frannie continued to work and raise her young family, she found Bikram Yoga offered a much appreciated sense of balance and well being. Her passion for this unique practice led her to train as an instructor in 2006. Over the years Frannie has worked at several local studios including Yoga Center of Greenwich, Bikram Yoga in Scarsdale, and she has held yoga workshops in local schools. She also established a studio in her home where she developed a loyal and enthusiastic following. In the Spring of 2013, with the support of her family, community, and yoga mentors she took her training to another level and immersed herself in Bikram’s rigorous nine-week Teacher Training. Frannie’s style of teaching combines years of intense training with some of the nation’s leading yoga instructors and a close study of Bikram’s hatha yoga postures and their benefits. She brings an unwavering level of commitment, discipline, passion, and joy to every class and has amassed a broad following of adults and teens. Frannie lives in Rye, New York with her husband, four children, and chocolate lab. Bikram Yoga is a series of twenty-six postures and breathing exercises practiced in a heated room. The heat helps to relax the muscles allowing for deeper and more effective stretching. Each posture is a challenge based on ones personal abilities. The series was scientifically crafted by Bikram Choudhury to stretch and strengthen muscles, ligaments, and tendons. Bikram Yoga systematically moves fresh, oxygenated blood to every part of the body, stimulating organs, glands, and nerves, and restoring all systems to healthy working order. The result is a strong and powerful body and mind.